THAT L.A. 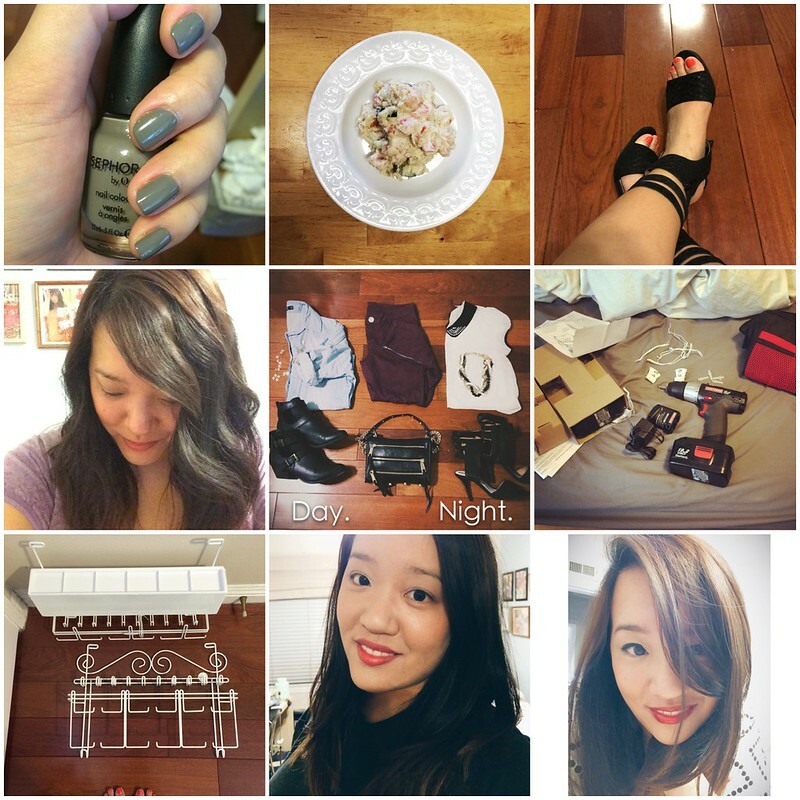 IT GIRL: Instagram Monthly | May 2014 Summer is a coming! Instagram Monthly | May 2014 Summer is a coming! This past month has been an exciting one, with all the interesting events, that were happening, and are going to be happening this summer as well. Row 1: New Sephora by OPI polish Dance Til Fawn that I got in from hautelook.com // I made some of my mom's delicious potato salad // I got my Jeffrey Campbell Skybox shoes in, and they are pretty much the LOVE of my life! Row 2: I decided to try a simple curling method with a straightener. I'm not good at it yet, but getting there! // My day to night outfit. Basically what I would wear if I was planning on changing outfits // Denysia Yu power tool time! What have you been instagramming lately? For more pictures check out my instagram! Great pics! I'm so addicted to Instagram. I've been slacking on IG, Pinterest, Twitter, etc. lately and I feel like I need to up my game and be more interactive. Btw, I WANT THOSE SHOES!!!! Wow—you did those curls with a straightener?! So cool! They look great :) Those shoes are HOT! Love 'em! And ummm...I'm loving those shoes in Row 1. Omg I'm lovin' those black heels! I totally need those in my closet. Love your pictures :D It's fun seeing your beautiful face!